The stark contrast between the Republican and Democratic parties over immigration, laid bare during a contentious primary season, was codified as the party platforms were finalized and approved during the quadrennial national conventions. The roster of convention speakers further illustrated the gulf between the parties. 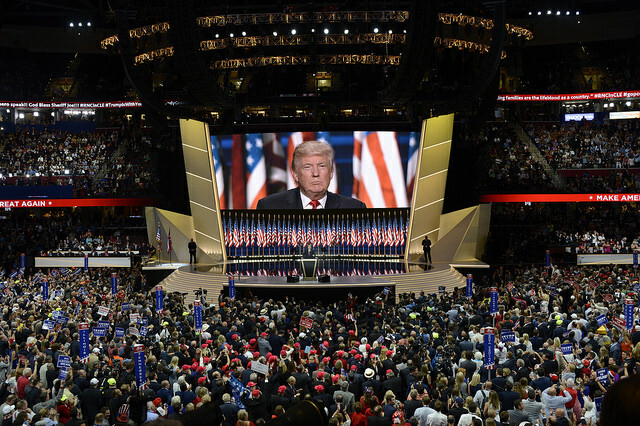 The Republican convention gave prominent speaking slots to victims of crimes committed by unauthorized immigrants, as well as to Maricopa County Sheriff Joe Arpaio, who has attracted accolades, controversy, and litigation over his immigration enforcement tactics. The Democratic convention, by contrast, showcased several unauthorized immigrants who have become prominent activists, including some who have benefited from the Obama administration’s deportation-relief policies. Though party platforms are not binding on legislators or the executive branch, they do offer a clear picture of the issues animating the parties’ most vocal constituencies and often represent a roadmap for future legislative agendas. While the Republican platform is grounded in heightened concerns about border and national security, perceived weak enforcement of immigration laws, and high levels of legal immigration, the Democratic platform focuses on increased rights and protections for the unauthorized population and recent flows of Central Americans, as well as immigrant integration. In many ways, the sharply divergent platforms offer mounting evidence—even in comparison to earlier platforms—of how the two parties live in parallel universes on the subject of immigration. Unlike the 2008 and 2012 platforms, this year’s Republican blueprint does not endorse increases in any legal immigration categories, and the Democratic platform is silent on any new or renewed enforcement measures. The only commonality between the two platforms is the prioritization of citizenship for immigrants serving in the armed forces. The Republican platform, not surprisingly, contains two central themes embraced by presidential nominee Donald Trump since he made immigration a centerpiece of his campaign: building a wall on the southern border and screening immigrants from certain countries or with certain religious affiliations. This year’s platform calls for walling off the entire 2,000-mile border, in contrast with the 2012 version, which advocated finishing the double-layered fencing mandated along certain sections of the border under the Secure Fence Act of 2006. While the platform mirrors the Trump vow to build a wall along the entire U.S.-Mexico border, the document attempts to take a more nuanced and practical stance than the candidate’s recommended ban on admission of all Muslims or all individuals from regions with proven histories of terrorism. Instead, the platform advocates “special scrutiny” for foreign nationals seeking admission from terror-sponsoring countries or “regions associated with Islamic terrorism.” The platform also calls for renewal of the National Security Entry-Exit Registration System (NSEERS), a post-9/11 program under which males from 25 predominantly Muslim countries were required to register and be fingerprinted and photographed upon entry to the United States or while within the country. NSEERS was suspended in April 2011. In a major departure from one of Trump’s primary themes, and in a concession to the standard party position, the platform is silent on enforcement measures against the estimated 11 million unauthorized immigrants—refraining from taking a stance on the candidate’s call for mass deportations. Elsewhere, the platform reprises the traditional fare of prior blueprints, but with a sprinkling of the more hard-edged rhetoric common today. These include preventing states from issuing licenses to unauthorized immigrants, mandatory five-year prison sentences for illegal re-entry, penalizing states and localities that are commonly known as “sanctuary cities,” and recognizing the role of states in immigration enforcement. Reflecting key concerns of its core constituencies, the Democratic platform centers on expansion of rights for unauthorized immigrants living in the United States and recently arrived children and families from Central America. Calling for an “urgent” fix of the “broken immigration system,” the platform endorses a path to citizenship for law-abiding unauthorized immigrants. And in the absence of legislation, the platform expresses the party’s commitment to defend and implement the Deferred Action for Parents of Americans and Lawful Permanent Residents (DAPA) program and expansion of the Deferred Action for Childhood Arrivals (DACA) program, both of which were sidelined by the Supreme Court. Consistent with Hillary Clinton’s campaign promise, the platform supports expanding the Obama administration executive actions to others, including parents of DREAMers. It also advocates that DREAMers be eligible for driver’s licenses, in-state tuition, military service, and an expedited pathway to citizenship. The Democratic platform also focuses on Central American migration, an issue of special concern due to recent increases in the arrivals of unaccompanied children and families at the U.S.-Mexico border. The document advocates a number of protective measures, some of which potentially would go further than the current administration’s actions: working with regional partners to address the root causes of violence in Central America, in-country and third-country refugee and parole processing, and expanding the use of humanitarian parole and Temporary Protected Status (TPS). TPS, which provides work authorization and protection from deportation to certain nationals of countries that have been deemed unsafe for repatriation, is available for qualified Salvadorans and Hondurans who have been in the United States since at least 2001. The program has not been extended to Guatemalans already in the United States. The platform also presses for government-funded counsel for unaccompanied children in deportation proceedings. The Democratic platform also calls for an end to “raids and roundups” of families and children, and seeks to abolish the use of private prisons and detention centers for immigrant detainees. In a move designed to address the effects of one of the more controversial provisions of the Illegal Immigration Reform and Immigrant Responsibility Act of 1996, the platform urges repeal of the bars that require certain unauthorized immigrants to stay out of the country for three or ten years (based on how long they lived in the United States without authorization) while applying for lawful status. The platform also stresses services and programs for integration of immigrants, included expanded access to English language classes and the promotion of naturalization. Importantly, it would allow all families, regardless of immigration status, to buy into Affordable Care Act exchanges. Beyond the platforms, the immigration stances of the vice presidential picks are also being scrutinized for a sign of what policies might look like under a new administration. Both Virginia Sen. Tim Kaine and Indiana Gov. Mike Pence, the Democratic and Republican vice presidential nominees, respectively, have significant track records on immigration. Pence, who served in the U.S. House of Representatives for 11 years before becoming governor in 2013, gained considerable attention for promoting comprehensive immigration reform legislation in 2006, the Border Integrity and Immigration Reform Act. 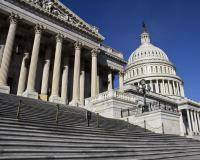 The bill, which he described as “no-amnesty” reform, would have required unauthorized immigrants to return to their country of origin before being permitted to re-enter the United States as guest workers. Beyond this so-called touchback provision, the legislation included significant border and employer enforcement measures. During his time in Congress, Pence also sponsored and co-sponsored bills that would have authorized state and local law enforcement agencies to directly enforce U.S. immigration law, currently an exclusively federal domain; eliminated birthright citizenship; reduced total per-country legal immigration by one-half the number of unauthorized immigrants from that country who are residing in the United States; and eliminated the diversity visa lottery. He also favored increasing legal immigration for individuals who complete STEM doctorate degrees within the United States and raising the H-1B visa allotment. Kaine, the Clinton running mate, was elected to the Senate in 2012 and previously served as Virginia governor. Kaine has expressed support for the expansion of DACA and the implementation of DAPA. In 2015, he argued that DACA allows young immigrants to contribute to their communities and live without fear of being removed. Kaine in 2013 voted in favor of the last immigration reform bill that passed the Senate, and during that debate became the first U.S. senator to deliver a speech entirely in Spanish on the Senate floor; he also supported the DREAM Act. While party platforms are not binding, they can be good indicators of future legislative agendas. For example, a 2013 study published in the Journal of Political Science found that members of Congress historically have voted in accordance with their party platforms more than 80 percent of the time. Moreover, since the platforms are written by a coalition of party members, they are useful in gauging where party consensus lies. The silence in this year’s Republican platform on the issue of large-scale enforcement against the unauthorized population may, for example, reflect continued disagreement within the party. A Gallup poll out in July found that more Republicans favored a path to citizenship than deporting unauthorized immigrants or building a wall: 76 percent versus 50 percent and 62 percent, respectively. Platforms can also highlight differences between the present and the future. This year, the Democratic Party had to walk a fine line: supporting the Obama legacy while making the case for how a Clinton presidency would differ. Platform writers did this by pledging support for expansion of the Obama deferred action programs and ending enforcement actions against children and families, for which the administration has received much criticism from within the Democratic Party. Administration Requests Supreme Court Rehear Deferred Action Case. On July 18, the Department of Justice (DOJ) requested that the Supreme Court rehear United States v. Texas once the court has the full panel of nine justices. The case originated when Texas and 25 other states challenged President Obama’s November 2014 executive actions to create the Deferred Action for Parents of Americans and Lawful Permanent Residents (DAPA) program and expand the existing Deferred Action for Childhood Arrivals (DACA) program. The Supreme Court was short one justice when it heard the case in April 2016, following the death of Justice Antonin Scalia two months earlier. On June 23, the court deadlocked in a 4-4 decision, leaving a lower court order standing that blocks the programs. If implemented, DAPA and the DACA expansion could potentially protect up to 4 million unauthorized immigrants from deportation. Hefty Backlogs in Immigration Court and Asylum Processing. The number of cases awaiting resolution before immigration courts reached an all-time high of 496,704 cases at the end of June. This is despite the addition of 34 new immigration judges since February 2016. Nearly one-third of the backlog consists of cases of unaccompanied children or families, most of who are from Central America. At the same time U.S. Citizenship and Immigration Services (USCIS) is struggling to handle a high volume of affirmative asylum cases. As of the end of March 2016, more than 147,000 asylum cases were pending, and the processing time between the filing of the application and the actual interview is close to five years in certain parts of the country. Ninth Circuit Upholds Ruling that Accompanied Children in Family Detention Must Be Quickly Released. On July 6, the Ninth U.S. Circuit Court of Appeals upheld a lower court decision that child migrants who are accompanied by a parent should be quickly released from immigrant detention. The case centered on the settlement of the 1997 Flores class-action lawsuit, which set national policy for the detention, release, and treatment of juveniles in immigration custody. The Flores agreement requires the timely release of minors from immigration detention, mandates the placement of minors into the “least restrictive setting” appropriate to their ages and special needs, and requires the implementation of standards relating to the care and treatment of minors in immigration detention. The government originally interpreted Flores to apply only to children who were detained without a parent or guardian, enabling it to continue detaining children accompanied by at least one adult. In ruling that accompanied children must also be quickly released from detention, the Ninth Circuit rejected the lower court’s opinion that the accompanying parents or guardians of the children may have the right to be released as well, interpreting the Flores settlement to strictly apply only to children. Temporary Protected Status Extended for El Salvador. On July 8, the Department of Homeland Security (DHS) announced the extension of Temporary Protected Status (TPS) for certain nationals of El Salvador living in the United States. TPS was created in 1990 and provides work authorization and protection from deportation to certain nationals of countries that have been deemed unsafe for repatriation due to ongoing armed conflict, the effects of a natural disaster, or other circumstances. El Salvador was initially designated for TPS in March 2001; qualified Salvadoran beneficiaries must have been continuously physically present in the United States since March 9, 2001. Twelve additional countries are currently designated for TPS: Guinea, Haiti, Honduras, Liberia, Nepal, Nicaragua, Sierra Leone, Somalia, Sudan, South Sudan, Syria, and Yemen. Employment-Based Fourth Preference (EB-4) Visa Limits Reached for Special Immigrants from India. The August 2016 Visa Bulletin from the Department of State reflects that the EB-4 special immigrant visa category for India is now oversubscribed, meaning that there are more applications than there are visas available. Starting on August 1, 2016, applicants from India who filed in the category on or after January 1, 2010, will not be able to obtain an immigrant visa or adjust status until new visas become available. The EB-4 category for special immigrants includes individuals who have qualified as religious workers or for Special Immigrant Juvenile (SIJ) status. The SIJ program is designed to help foreign children in the United States who have been abused, abandoned, or neglected. The program received a surge of attention and applications after the increased number of arrivals of unaccompanied children along the U.S. southern border, which hit a high in fiscal year (FY) 2014. Earlier this year, El Salvador, Honduras, and Guatemala became the first countries to oversubscribe in the EB-4 category. Since then, Mexico has also become oversubscribed. Department of Justice Increasing Certain Immigration-Related Fines. On June 30, DOJ published a final rule that will adjust for inflation penalties for certain violations, including the unlawful employment of unauthorized workers. The rule will take effect August 1 and will increase certain fines by nearly 100 percent. The fines are for violations related to the Employment Eligibility Verification Form I-9 that newly hired workers must complete in order to ensure that they are legally eligible to work in the United States. Employers who receive fines as a result of paperwork violations, unlawfully employing unauthorized workers, or unfair immigration-related employment practices could be hit by the fee increases. Customs and Border Protection Continues to Expand Preclearance and Global Entry Services. Within the last month, U.S. Customs and Border Protection (CBP) expanded eligibility in the Global Entry program to include all citizens of the United Kingdom and Singapore. Global Entry members use designated kiosks to complete their entry into the United States, reducing their wait and processing times. As a part of reciprocal programs with Singapore and the United Kingdom, U.S. citizens will now be able to apply for trusted traveler programs in both countries: the enhanced-Immigration Automated Clearance System (eIACS) and the Registered Traveller service, respectively. In an effort to reduce the risk of potential security threats entering the country, CBP now also is soliciting participation to expand its preclearance operations to additional foreign airports. Stakeholders are invited to submit letters through August 1 detailing their interest in offering CBP preclearance at international airports. When preclearance operations are established at foreign airports, the immigration, customs, and agriculture inspections that normally occur upon arrival in the United States are instead completed before return. Texas Settles Birth Certificate Lawsuit. On July 22, the state of Texas agreed to a settlement in a case over the types of documents parents can use to prove their identities to receive birth certificates for their children. Texas registrars of birth in 2013 began rejecting certain types of identity documents, including Mexican photo identity cards known as matrículas, making it impossible for many unauthorized parents to obtain birth certificates for their U.S.-citizen children. Last year a group of about two dozen immigrants sued, stating that because of the policy they could get their children baptized, enroll them in school, or sign them up for public health programs so they could be vaccinated. In the settlement, Texas agreed to expand the types of documents parents can present, including use of the Mexican voter registration card. Texas to Refuse Refugees Despite Court Ruling. On June 17, the Executive Commissioner of the Texas Health and Human Services Commission, Charles Smith, sent a letter to the U.S. Department of State refusing to accept the proposed increase in the number of refugees coming into the state and requiring a specific vetting procedure for those who will arrive. The letter was sent the day after a federal judge in Dallas dismissed a lawsuit filed by the state seeking to block the resettlement of Syrian refugees. According to the state proposal, Texas will only accept refugees after the FBI, DHS, and the Director of National Intelligence certify that each individual refugee being resettled in Texas is not a threat. Efforts by more than two dozen governors to prevent the resettlement of Syrian refugees in their states have failed in federal court. No response from the Department of State has been reported. U.S. Department of Education Investigates Memphis School District over Mistreatment of Migrant Children. In July the U.S. Department of Education launched an investigation into a Memphis school district over allegations of mistreatment of migrant children and their parents. The investigation came after a complaint was filed in February by the Memphis-based Exchange Club Family Center alleging that migrant youth from Central America were blocked from going to Memphis high schools. Officials contended that the teens lacked school transcripts or were too old to graduate on time, and the students were instead routed to a now-defunct English program at an adult education program. Since the spike in arrivals of unaccompanied migrant children in 2014, school districts across the United States have had mixed reactions to the influx of new students and many have attempted to block their enrollment. New York State Takes Steps to Become More Welcoming to Immigrants. On July 20, New York Governor Andrew Cuomo announced that his state will establish a permanent task force to focus on the labor rights of immigrants. The task force will seek ways to prevent and address employee misclassification and worker exploitation. A week earlier, the governor announced a lottery to cover the fee for citizenship applications. The initiative, NaturalizeNY, will provide free eligibility screenings, application assistance, naturalization exam preparation, and a lottery to cover application fees for 2,000 low-income immigrants. The program will be administered by the State Office for New Americans. Muzaffar Chishti is Director of MPI’s office at New York University School of Law. Sarah Pierce is a Policy Analyst with the U.S. Immigration Policy Program at MPI. Want the latest estimates and characteristics of unauthorized immigrants in the U.S., including those potentially eligible for relief from deportation under DAPA and DACA? 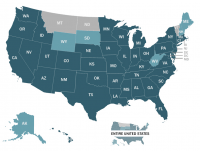 Use this data tool to get population estimates and more—including countries of origin, recency of arrival, educational enrollment and attainment, incomes, English proficiency, and health care coverage—at the national level, by state, and for top counties. MPI has compiled in one easy-to-access location its key research and data resources on issues, policies, enforcement programs, and more that relate to the immigration reform debate underway in Washington. Find in one place all MPI resources related to the rising flows of unaccompanied children crossing the U.S.-Mexico border, including analyses of trends and policy developments; data; country profiles of El Salvador, Guatemala, and Honduras; and recent MPI telebriefings and events that discuss the latest developments.